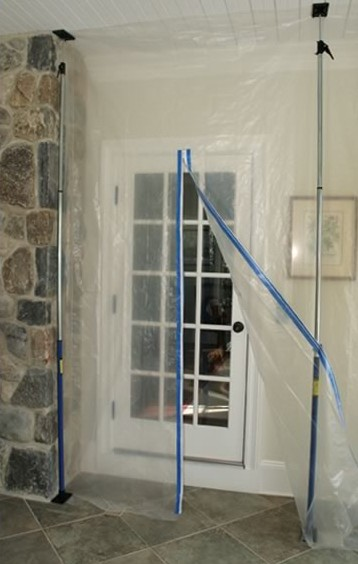 **Please note: Doors used as an entrance to the work area must be covered with plastic sheeting or other impermeable material in a manner that allows workers to pass through while confining dust and debris to the work area. The RRP Rule establishes performance standards that the contractor must meet, but does not specify how the contractor must meet them. This allows the contractor flexibility in how to comply with the requirement to ensure that no dust or debris leaves the work area. As with any government / EPA standards, some states have their own rules and any program should be reviewed for its validity in your location.